The Grammars, which Mr. Houston procured for you amount at 2/10 each to 17/. Your brothers account with Plumb.6 to 6/7. and Sawneys expences 4/2…Inclosed you have 15/. the overplus of which you may let Sawney have to satisfy those who may have been at any trouble on his account. The man called Sawney again appeared in Madison’s postscript: “P.S. Sawne[y] tells me that your Mother and Brothers are determined to accompany you to Virginia…I wish…them great Happiness.” Entrusted with Madison’s accounting and charged with relaying family news, Sawney had known Madison since the future president’s birth. Sawney, too, had accompanied Madison to Princeton. Now, he was delivering books and settling accounts on his way back to Montpelier—the Virginia plantation where the Madison family owned him as a slave. Many details of Sawney’s life and journey to Princeton remain unknown: whether he traveled on his own (though his letters indicate that he did), the exact nature of his role on this trip to Princeton, or how long he stayed with Madison in New Jersey. Yet from 1769 to 1823, Madison and his associates wrote dozens of letters and notes referencing Sawney—attesting to the enslaved man’s continuing presence in his life and Madison’s own complex and conflicting attitudes towards slavery. This brief profile will trace Madison’s life through two key stages of his involvement with slavery: his lifelong relationship with Sawney and his other slaves as the master of Montpelier and in the White House, and his political views on the institution of slavery itself, expressed forcefully, and with much contradiction, near the end of his life. Madison seemed to have always believed that slavery was morally wrong, America’s “original sin,” yet he failed to act on these viewpoints to influence policy as President of the United States, and never abandoned slave labor as a Virginia landowner. James Madison was born into a plantation society entirely predicated on slave labor, both sides of his family having made their fortunes in tobacco farming. . When his grandfather Ambrose Madison died under mysterious circumstances, three of his slaves were convicted for allegedly poisoning him. Ambrose’s son and James Madison’s father, James Madison Sr., was at one time the richest landowner in Orange County, Virginia, owning 5,000 acres tended by slaves. When he married, his new wife Nelly Conway brought about a dozen more slaves to the household—the fourteen-year-old Sawney most likely among them. In 1751, they had James Madison Jr., the first of twelve children, and raised him to be Montpelier’s heir. The choice of Sawney to join Madison, a seemingly hypochondriacal eighteen-year-old, on his 1769 trip to Princeton hints at the high level of trust the family placed in the enslaved man. In 1782, Madison Sr. made Sawney one of Montpelier’s overseers, responsible for a quarter of the plantation. Sawney lived in an overseer’s cabin rather than the slave quarter; he harvested his own tobacco, which he sold to the Madison family (recorded as “Sawney’s…own crop”), and Madison Sr. permitted him to buy “special ‘English’ shoes of the sort worn by white men.” Perhaps Madison Sr. was trying to avoid the fate of his own father. James Madison returned to Montpelier after his graduation from Princeton in 1771 and quickly involved himself in local politics—employing his intellect and Princeton education to support the Revolutionary cause. In 1774 he became a member of the Orange County Commission of Safety and was elected to the Virginia legislature in 1776, forming a lasting friendship with Thomas Jefferson. At twenty-nine years old, Madison became the youngest delegate at the Continental Congress (1780-3), took a leading role in drafting the Constitution at the Constitutional Convention in Philadelphia (1787), and was elected to the first United States Congress, representing Virginia, in 1790. But even amid Madison’s many political engagements during these years, Sawney frequently appeared in his letters to Montpelier. On a view of all circumstances I have judged it most prudent not to force Billey back to Va. even if could be done; and have accordingly taken measures for his final separation from me. I am persuaded his mind is too thoroughly tainted to be a fit companion for fellow slaves in Virga. The laws here do not admit of his being sold for more than 7 years. I do not expect to get near the worth of him; but cannot think of punishing him by transportation merely for coveting that liberty for which we have paid the price of so much blood, and have proclaimed so often to be the right, & worthy the pursuit, of every human being. Billey was the only slave Madison would ever emancipate, though he did not in fact free Billey directly. Rather, Madison sold him into another contract, an apprenticeship from which Billey would be freed after seven years. After his manumission, Billey took the name William Gardener and remained in contact with Madison until his death in 1795. My wish is if possible to provide a decent & independent subsistence…Another of my wishes is to depend as little as possible on the labour of slaves. The difficulty of reconciling these views, has brought into my thoughts several projects from which advantage seemed attainable. In 1787, at the Constitutional Convention, Madison argued that the slave trade was “dishonorable to the National character”; he further contended that slaves should not be taxed because it would be “wrong to admit in the Constitution the idea that there could be property in men.” Slaves, he reasoned, were “not like merchandize” and were “not consumed,” and thus could not be held as property. In 1794, he married Dolley Payne Todd (1768-1849), a Quaker widow whose father had emancipated his slaves in 1783. Madison’s antislavery thinking seems to have been strongest during the 1780s—at the height of Revolutionary politics. But by the early 1800s, when in a position to truly impact policy, he failed to follow through on these views. In February 1801 Madison Sr. died, leaving Montpelier and more than one hundred slaves to James Madison, as his eldest son. The following week, Thomas Jefferson became President of the United States and appointed Madison as his Secretary of State. Madison managed Montpelier from afar, yet took no concrete steps toward freeing his slaves or changing the plantation system. Upon becoming the fourth President of the United States in 1809, Madison brought slaves to serve him in the White House. One of these slaves was ten-year-old Paul Jennings, whose memoir about White House life—A Colored Man’s Reminiscences of James Madison—was published in 1865. 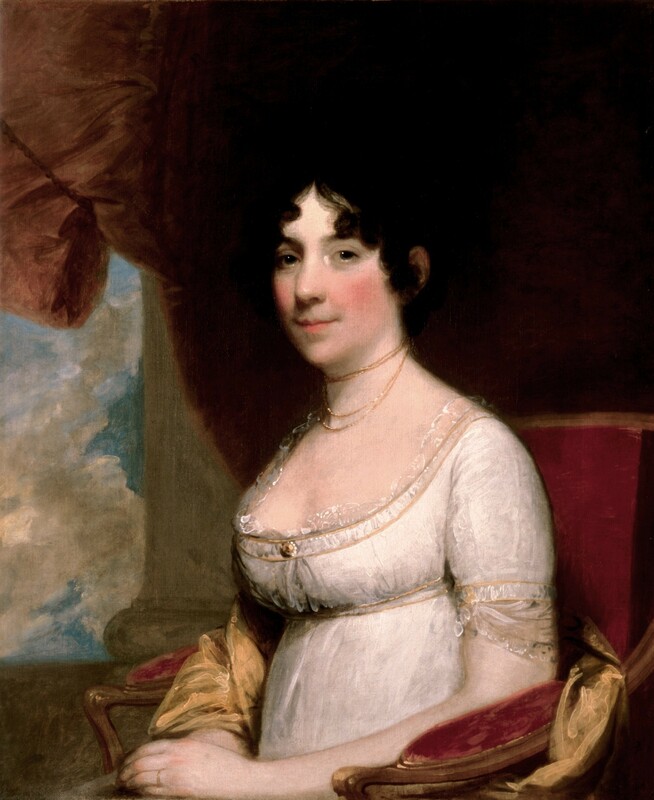 Though Dolley Madison remains famous for rescuing Gilbert Stuart’s painting of George Washington from the White House during the War of 1812, the young Jennings was with her at the time and assisted her in salvaging the portrait. Jennings served as Madison’s valet until his death, returning to Montpelier in 1817 at the end of Madison’s second term as president. Jennings joined the elderly Sawney there, who, at age eighty-one, now cared for Madison’s ailing mother. Sawney would work past the age of ninety, serving Nelly Conway Madison until her death in 1829. During Madison’s retirement, from 1817 until his death in 1836, Montpelier continued as a slave plantation, and the Madisons faced increasingly dire financial straits. Despite pressure to follow George Washington’s example, Madison did not free his slaves in his will; instead, he left them to his wife Dolley, asking that she only sell them with their consent. Dolley did not comply. Despite her Quaker background and father’s example, she, like her husband, never divested herself of her slaves. Instead, she sold them off to pay debts. Jennings eventually bought his freedom after Dolley sold him in 1846—despite an earlier provision promising to free him in her own will. I do not mean to discuss the question how far slavery and farming are incompatible. Our opinions agree as to the evil, moral, political, and economical, of the former. I still think, notwithstanding, that under all the disadvantages of slave cultivation, much improvement in it is practicable. It is most obvious, they [slaves] themselves are infinitely worsted by the exchange from slavery to liberty—if, indeed, their condition deserves that name. Ultimately, Madison’s personal dependence on slavery led him to question his own, once enlightened, definition of liberty itself. Paris Amanda Spies-Gans is a Ph.D. candidate in Princeton University’s Department of History with a focus on gender, print, and visual culture in early modern and Revolutionary-era Europe. Her dissertation explores the implications of the Revolutionary era for women artists in Britain and France. Paris received her A.B. in History and Literature from Harvard College in 2009, an M.A. in Art History from the Courtauld Institute of Art in 2010, and an M.A. in History from Princeton in 2013. She has been involved in the Princeton Public History Initiative from its inception. James Madison to Reverend Thomas Martin, 10 August 1769, Founders Online Archive, accessed March 24, 2017, https://founders.archives.gov. Michael Signer, Becoming Madison (New York, NY: PublicAffairs, 2015), 26. 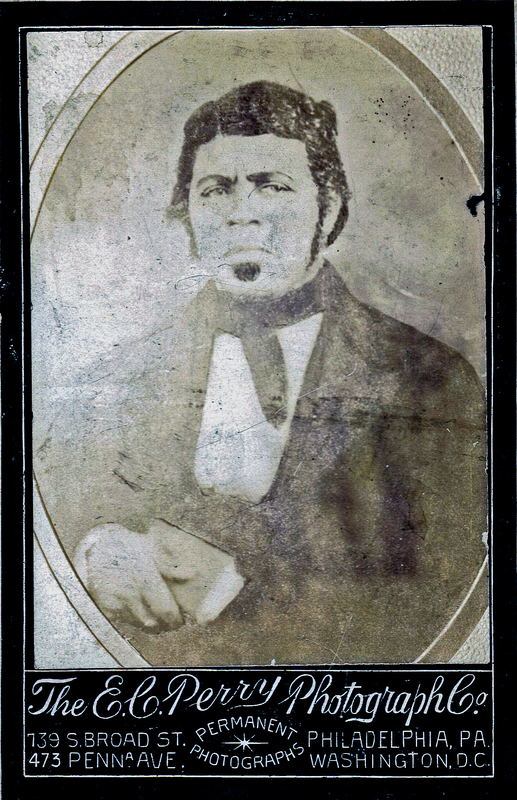 Signer, Becoming Madison, 26-7; Douglas Chambers, Murder at Montpelier: Igbo Africans in Virginia (Jackson, MS: University Press of Mississippi, 2005), 15. James Madison to James Madison Sr., 19 May 1794, Founders Online Archive, accessed March 24, 2017, https://founders.archives.gov. Irving Brant, James Madison: Father of the Constitution, (Indianapolis, IN: Bobbs-Merrill, 1950), 324; A bill to James Madison from Fontaine Maury, 20 July 1790, Founders Online Archive, accessed March 24, 2017, https://founders.archives.gov. Instructions for the Montpelier Overseer and Laborers, [ca. 8] November 1790, Founders Online Archive, accessed March 24, 2017, https://founders.archives.gov. Madison wrote these notes before leaving Montpelier to return to Congress in Philadelphia. Jack N. Rakove, James Madison and the Creation of the American Republic, Second Edition (New York: Longman, 2002), 3. Madison graduated early but remained at the college to take further courses, in some sense becoming Princeton’s first humanities graduate student. James Madison to James Madison, Sr., 8 September 1783, Founders Online Archive, accessed March 24, 2017, https://founders.archives.gov. “Billey (William Gardener,” James Madison’s Montpelier, accessed March 24, 2017, https://courses.montpelier.org/courses/76/pages/billey-william-gardener. James Madison to Edmund Randolph, 26 July 1785, Founders Online Archive, accessed March 24, 2017, https://founders.archives.gov. Madison’s White House secretary Edward Coles was particularly insistent in imploring Madison to free his slaves. See Signer, 205-6. James Madison to Lafayette, 25 November 1820, Founders Online Archive, accessed March 24, 2017, https://founders.archives.gov. 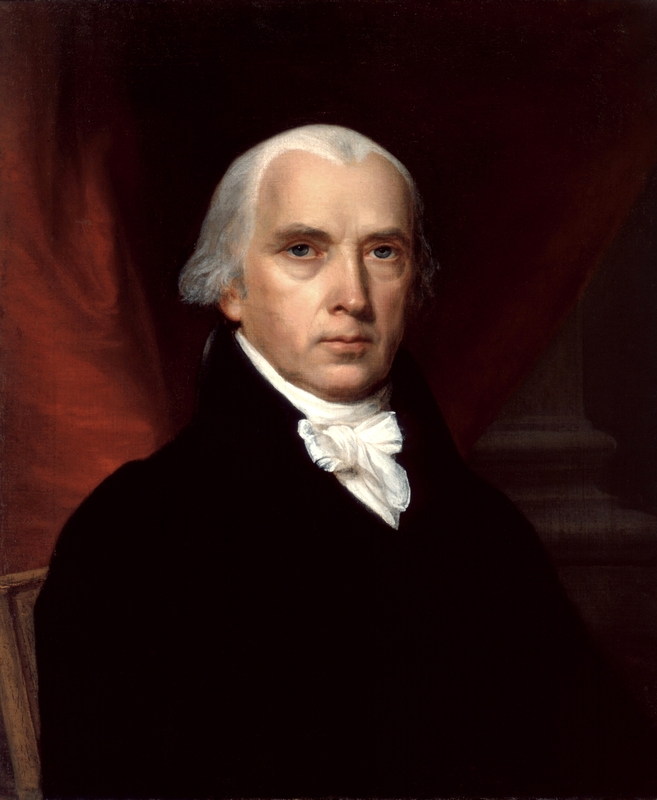 James Madison to Francis Corbin, 26 November 1820, Founders Online Archive, accessed March 24, 2017, https://founders.archives.gov. David Robertson, Debates and Other Proceedings of the Convention of Virginia (Richmond, VA: Enquirer-Press, 1805), 537-39. Mr. Madison to Mr. Coles, October 3, 1834; James Madison Collection; Rare Books and Special Collections; Princeton University. Rakove, James Madison and the Creation of the American Republic, 231. James Madison to the Editor of the Farmers’ Register, 22 March 1836, Founders Online Archive, accessed March 24, 2017, https://founders.archives.gov.